We have been working with Paul and Ann, owners of Doncaster based ‘The Tea Experience‘, since before we opened the cafe back in 2012. They have been very supportive of Baltzersen’s and have always provided us with excellent service and our range of fantastic loose leaf tea. Paul and Ann are not just wholesalers. They visit markets retailing their tea regularly and this gives them extra insight into the changing habits of consumers and allows them to spot trends coming into the market very early. 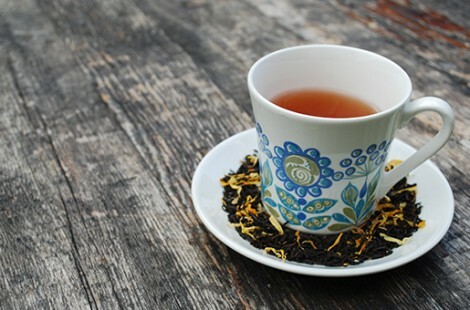 They often send us new teas to taste and consider adding to our range. If we ever have a customer request they are often able to fulfil an order from stock because they have a wide range of teas outside of the 15 or so we stock. Above all they are lovely people to interact with. The Fika blend has been rattling around inside my (Paul’s) head for a while now. It is attached to a memory I have of drinking tea at a good friend’s kitchen table in London; former Norse Head Chef Murray and I had been down in London doing some research prior to opening Norse. As it happens that friend Rich is getting married today over in Ireland – good luck from all of us! The tea we were drinking was Singapore based TWG’s Tea Party Tea. It’s a pretty expensive cup which is probably exactly what you’d expect with Harrods being the sole UK importer – it retails at £25/100g and is currently out of stock! The packaging is ludicrous but very nice, and no doubt it makes a lovely gift. 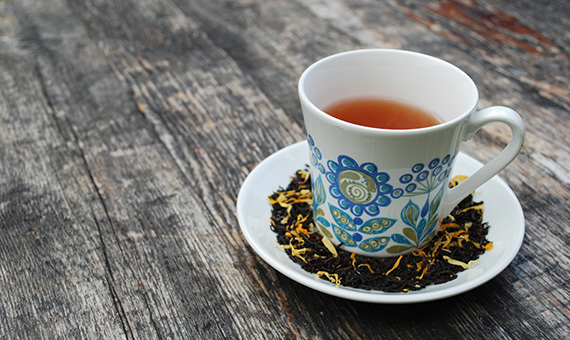 Loose leaf tea or not we can’t pay that kind of crazy money because we’d have to pass that on to you in. Instead I arranged for a delivery of TWG to be dropped off to Paul and Ann in Doncaster. They sampled the tea and sent it off to a tea blender they work with on a regular basis in order that they could try to match the taste. The result is our new Fika blend. 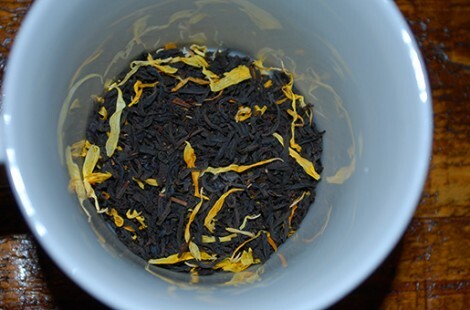 The base of the tea is black and is a blend of Chinese tea and Sri Lankan Ceylon. 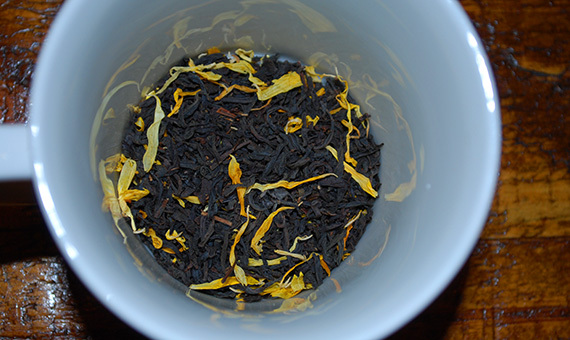 It has some vanilla/caramel flavourings and marigold petals. The smell of our tea is stronger and more confected that the TWG Tea Party Tea but once brewed it mellows. We had to go through a couple of iterations in terms of blends before we were happy that the depth of flavour from the tea itself was right, but we think it’s now nicely balanced. There is a real sweetness on the palate but it’s not because this tea is heavily sweetened, it’s the combination of the flavours and aromas. We find it really smooth and an ideal choice late afternoon for a pick me up with a slice of something sweet as a treat. 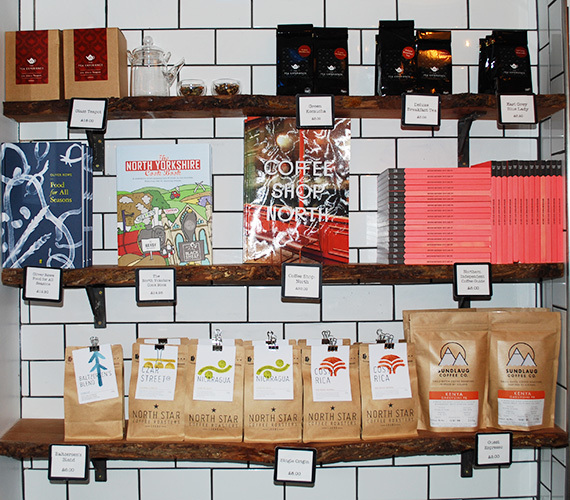 We’ll be offering the Fika blend to drink in the cafe as well as in our new range of retail loose leaf tea. 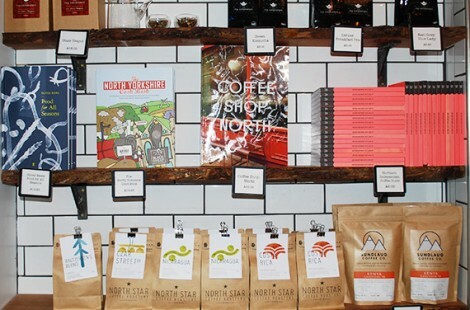 We won’t stock every variety that we serve in the cafe on retail but we’ll see what sells and make sure we have the favourites so you can take them home.